Vast and beautiful; steeped in history and myths; adorned with some of the most striking natural beaches in the Mediterranean; scenic fishing ports and whitewashed villages; while simultaneously boasting a legendary nightlife, friendly locals and delectable food and drink; Paros, right at the heart of the Aegean; is all this and much more. Greater than the sum of its parts, Paros might as well be Greece’s best kept secret: An alluring destination blending archeology, culture, 24/7 delights, water and land sports and a bit of everything in between to keep you active and entertained throughout your Paros Holidays. 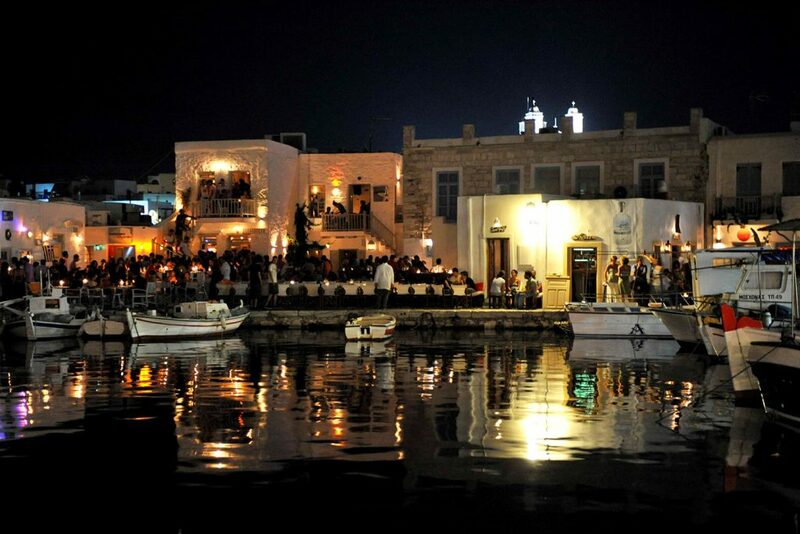 In fact there is so much to see, do and savor during your Paros Holidays. Yet if you’re only here for only a couple of days, it may be a stretch to take everything in, so here’s our Yria Boutique Hotel & Spa handpicked Paros Ηolidays tips to help you navigate through the choices. Paros Holidays are synonymous with the iconic triptych of sea, sand and sun. Beaches abound and are all strikingly beautiful, most often with golden sand and transparent waters. 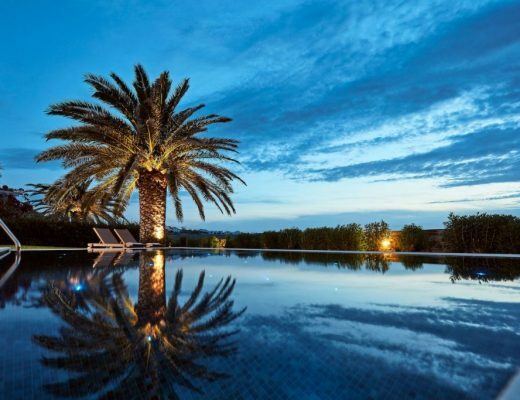 To see and be seen head to Monastiri; with its recently revamped, super trendy restaurant -bar. It is sandy, well protected and shallow so you can join the fun while your kids play safely at a close distance. Santa Maria is another popular option with organised facilities for the water sports enthusiasts and a strong party vibe. If action is what you’re looking for, go to Pounda beach to cohort, learn from or compete with the kite surfer’s elite. It is opposite Antiparos, a few minutes on the ferry, so you might as well get a glimpse of this hip and happening little island while you’re there. Home to the Yria Boutique Hotel & Spa, on the west coast of the island, near Paroikia town, Parasporos bay, also rightfully belongs amongst the most famous beaches thanks to its emerald waters, host of amenities and joyful ambiance. On another note there is Kalogeros with its healing mud baths or Faragas, offering relative seclusion in the third and smallest of its inlets. Entertainment is an integral part of any Paros Holidays. From the posh and glamorous cocktail bars and clubs of Naoussa, to the lively joints of Paroikia, all day beach bars, on board parties and foam nights; choices abound across the island, yet fun is the only thing certain. See Paros still retains this kind of innocence associated with the halcyon days of the 60’s. So no matter what you choose, howbeit extreme, the overall feeling shall be happy and pure rather than tired and debauched. Feel free to take your pick as your mood strikes you! Speaking of pleasures, those of the palate spring to mind irrevocably in association to Paros Holidays. For food and drink truly stands out in this Cycladic island. Traditional dishes such as oven cooked chickpeas, casserole snails, snails with garlic sauce, sun dried gouna (mackerel), string bean salad with garlic sauce and fresh seafood– wolfed down with the potent, merry inducing local spirit, souma- may be savored in scenic fish taverns and quaint mainland restaurants. 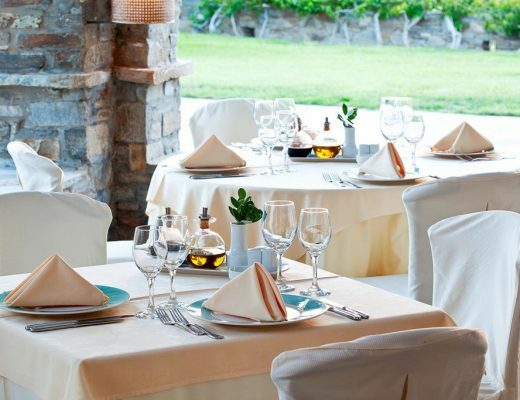 On the other hand Paros also hosts more sophisticated options, such as Yria’s Nefeli restaurant, artfully balancing tradition and modernity; while offering a refined, cosmopolitan setting along with some gems from the renowned Parian vineyard. 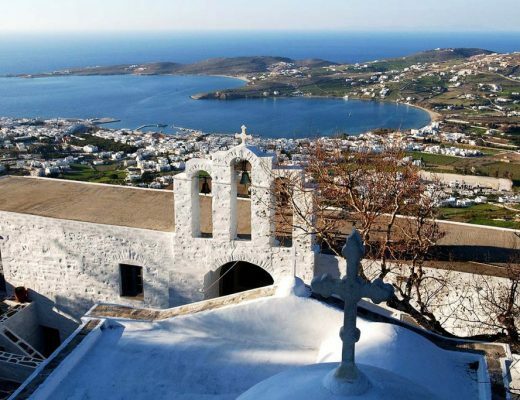 Paros holidays means getting immersed in history, mythology and culture. Get a glimpse of times bygone at the Archaeological Museum in Paroikia featuring exhibits and artifacts dating back to the neolithic period. Also, do not fail to explore the 4th century Byzantine Panagia Ekatontapyliani church: The island’s most powerful trademark with the 100 doors and fascinating backstory: Legend has it that only 99 of its openings have been identified till now and when the last one is found, the Greeks will own Constantinople again. Whilst in the capital, visit the the ancient cemetery and the 13th-century Frankish castle to admire the views from the top. Amazing vistas over neighboring Sífnos, Sérifos and Kýthnos, are proffered from the 17th century, eyrie, monastery of Ágii Anárgyri, east of the town. Make sure you bring a bottle to collect holy water from the subterranean holy spring dating from 1779. Venturing further into the mainland, hike along the Byzantine Road, the ancient marble footpath that connects the quaint villages of Lefkes and Prodromos. And if you’re interested in seeing the world famous marble out of which Venus of Milo and Napoleon’s tomb alike, were carved from, head to Marathi village and pocket a souvenir.